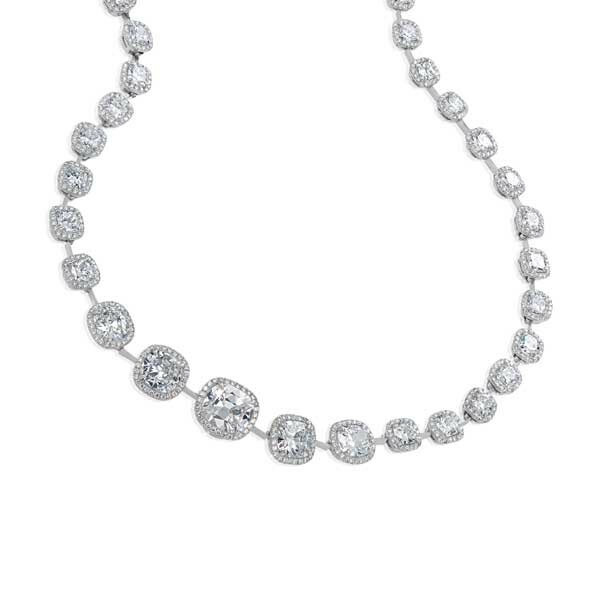 You will sparkle fabulously wearing this platinum diamond necklace. Several diamond cushion stations are linked together to form this stunning piece, and each diamond cushion is framed with pave diamonds for an intense shimmer. Glamorize your look luxuriously with this 17" diamond necklace.